Very soon, Anastasia Shubskaya will give birth, but she does not sit at home. 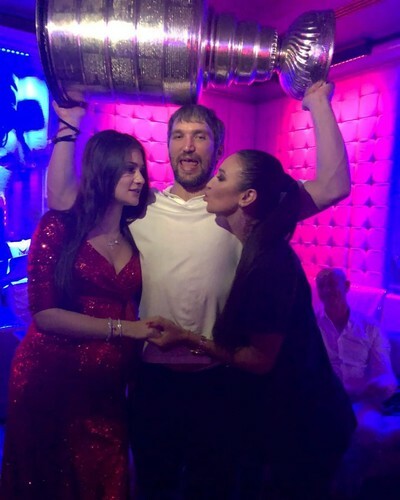 She continues not only to go out with her husband Alexander Ovechkin, but also to have fun with him at parties. 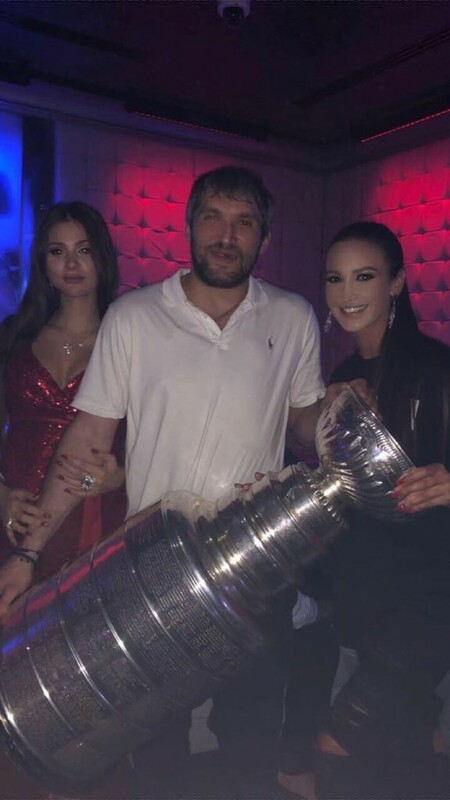 Last weekend, Alexander Ovechkin and Anastasia Shubskaya staged a splendid party at the karaoke club for their friends in honor of the anniversary of the couple's wedding and Stanley Cup, which a hockey player won not so long ago. The pregnant wife of the athlete wore high heels and danced with pleasure with her husband and guests. Alexander and Anastasia invited Anastasia Vinokur, Timati, Artem Yunusov and Victoria Korotkova, Olga Buzova. For the celebration, Shubskaya chose a red dress with a bold neckline. This evening the model looked excellent and received a lot of compliments from the fans. "Nastia is a beauty", "Shubskaya always looks very dignified, and in general she and Alexander are a great couple", "Ovechkin is lucky, his wife is a real treasure", "Still Shubskaya and Ovi make one of the most beautiful couples now" , - wrote in the comments admired Internet users. Some of followers suggested that Anastasia's first-born will be born in Russia. However, neither Shubskaya nor Ovechkin has yet revealed the details of the forthcoming delivery.